Chamberí is one of the most popular districts of Madrid. 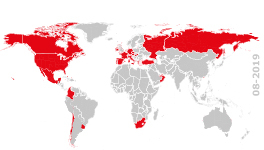 In fact, according to records from the last census, it has about 150,000 inhabitants within its borders. In addition, it is divided administratively into six different neighbourhoods (Rios Rosas Vallehermoso, Almagro, Trafalgar, and Arapiles Gaztambide), each with its own characteristics. Undoubtedly, the excellent public transport, the housing variety and the clean air you can breathe are the main reasons why Chamberí is such a desirable place to live in. Why live in the Chamberí? If you are trying to to find reasons to move to the district Chamberí, you will probably find plenty. However, you must know that some stand out above the rest. In this regard, you should know that, for example, thanks to its e-park system, this is one of the areas of Madrid where it is easier to park. But it also offers one of the best leisure facilities throughout the capital. In fact, it has plenty of bars with terraces and two of the most legendary concert halls in Spain: Galileo Galilei and Clamores. However, the atmosphere in this neighbourhood is really quiet and calm. And many Chamberí areas are a peace haven in a city where there is plenty of the hustle and bustle. For its part, the buildings, among the dominated by neo-Gothic and Art Nouveau neomudéjar, are authentic delights to behold. It also has many excellent infrastructure and a number of non-development parks and gardens. Buying or renting a house in the neighbourhood of Chamberí is pleasurable as it has a lot of services. First, it is worth noting the excellent communications that this district offers. In this sense, thanks to the city bus lines and metro, you can reach any other area in Madrid without much effort, which is much appreciated by many people. The educational offer is another of the great attractions of Chamberí. And, during the 50s, a block dedicated exclusively to build schools, colleges and ultimately, all kinds of centres where academic training is provided. In addition, there are public and private schools, so you can choose the best option that you prefer for your children without the fear of not finding the right place for them. Meanwhile, since Chamberí is a district with a predominantly commercial character, the place has countless businesses and establishments ranging from supermarkets to small local specialty. On top of all this, it has gyms, sports courts and heated indoor and outdoor pools where you can go to get in shape or to get rid of the stresses of your day. It is difficult to establish a clear pattern that defines the profile of the average resident who lives in the district of Chamberí. In this regard it should be noted that, on the one hand, it provides extremely exclusive areas that offer great charm to the upper class with high purchasing power. However, it also has other cheaper options in terms of price, which attracts students and young people who want to enjoy the great atmosphere of the district but, in turn, enjoy the tranquility they need in order to rest. Undoubtedly, the flats are the most abundant properties in the area of Chamberí. In this case, the characteristics of these properties can vary greatly depending on the area you choose. In fact, it is so common to find a large complex with several bathrooms and three bedroom apartments as well as small and cosy ones for one or two people. Undoubtedly, the offers are wide and varied. However, the most desirable homes are no doubt the Chamberí penthouses, whether duplex or not. This is mainly because, being positioned on the top floor, they offer excellent views across Madrid. They also have the advantage of spacious terraces where you enjoy the outdoors and carry out additional activities. Indeed, in some cases, they also come with small pools. 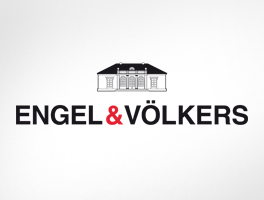 If you are thinking of buying or renting a home in the neighbourhood of Chamberí, you must know that in the luxury real estate Engel & Völkers Madrid, we have a large number of properties in the area. So if you wish to live in one of the most popular areas of the capital of Spain and enjoy its excellent atmosphere and all the amenities it offers, please contact us. We are happy to provide you with the advice you need and propose options that are best suited to your tastes and needs in order to help you make the right decision. See you there!